CARE Research, LLC is a preclinical research laboratory which operates in full compliance with FDA/EPA Good Laboratory Practices under the full auspices of the Animal Welfare Act in a wide variety of species, such as rodents, rabbits, companion animals (dogs, cats), pigs, sheep, poultry, horses, and cattle. To provide excellent-quality and customer-oriented in vivo laboratory services in the biomedical research and device industry at competitive prices. Designed and built by CSU (Colorado State University) over 20 years ago and extensively renovated recently, CARE has been the site for several studies, both GLP and non-GLP research. Our clients range from small Biotech companies and individual researchers to multinational drug and pharmaceutical companies. Our continuing close ties and proximity to CSU ensure active participation by well qualified technical and research staff in numerous studies conducted by CARE. Specifically tailored, individual study designs enable our clients to meet their product development goals and facilitate world-wide regulatory approval. Our personal, customized approach to each study allows us to revise and shift directions based on your changing needs. We communicate more effectively with you and keep you informed on your project’s progress by direct communication with your study director. At CARE Research, LLC, we’re focused on taking your animal research projects to new heights. We understand your needs and have the extensive experience working with the FDA, USDA, and EPA required to make your projects a success. 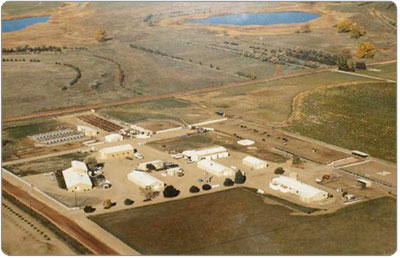 To better demonstrate our commitment and abilities, we invite you to visit our facilities, conveniently located near Fort Collins, Colorado. To schedule your appointment, please call CARE Research at (970) 493-4817, or contact us here.